U.S Army Capt. 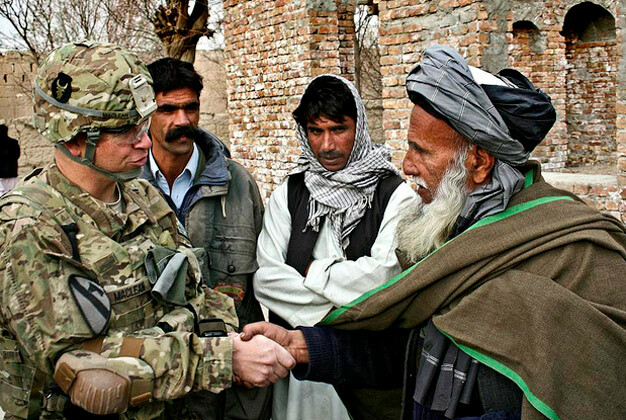 Joshua MacLean and Abdul Rahim Mazai, malik of the town of Bajawri, shake hands outside a village mosque in Afghanistan’s Parwan province, Dec. 6, 2010. MacLean is an information officer assigned to the 1st Squadron, 113th Cavalry Regiment. Courtesy photo via U.S. Army.